The Oregon Physical Therapy Association, a component of the American Physical Therapy Association, was incorporated in 1954 as an Oregon non-profit entity. The association's purpose is to meet the physical therapy needs of the general public and its members through the development and improvement of physical therapy education, practice and research. OPTA serves this purpose through the activities of the association and the executive office. We sponsor numerous continuing education opportunities throughout the year, including our conferences in the spring and fall. We actively communicate with state agencies in the development of administrative rules and policies governing the practice of and reimbursement for physical therapy services. During legislative sessions, our members play a key role in the law making process though introduction of bills, testimony and individual communication with legislators. We maintain a relationship with the Physical Therapists Licensing Board in the development of rules and information relative to the professional practice. 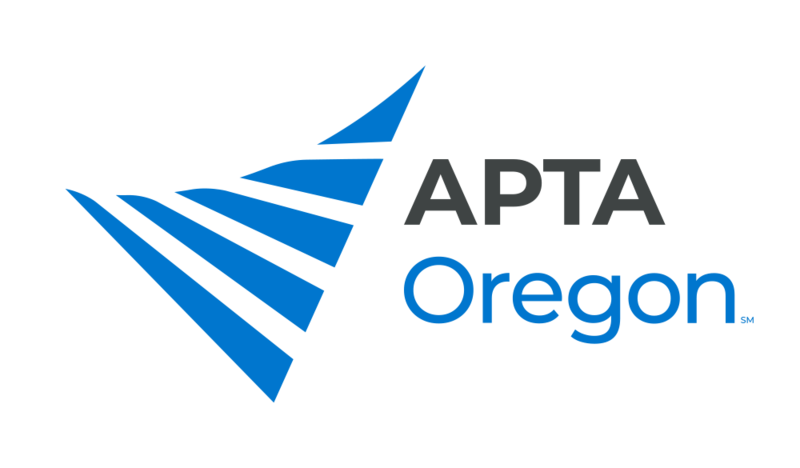 The mission of the Oregon Physical Therapy Association (OPTA), a chapter of the American Physical Therapy Association (APTA), is to support, promote, and advocate for the profession of physical therapy. We strive to further the profession’s role in the prevention, diagnosis, and treatment of conditions that affect movement and function. OPTA supports a community of PTs and PTAs who are recognized for their expertise in improving physical health, movement and function. The OPTA and its members will advance the profession through advocacy, education, collaboration with other health care practitioners, and the promotion of evidence based practice. Patients and clients will have full access to physical therapy, and the valuable service that PTs and PTAs provide; and therapists will be fairly reimbursed by all payors.